Side-specific systematic lymphadenectomy is suggested if sentinel lymph node (SLN) mapping failed in early stages endometrial cancer. 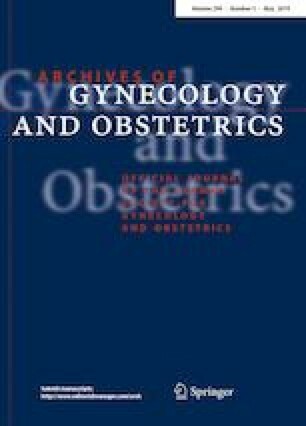 This study aimed to evaluate the risk factors associated with failed mapping which may lead to modify SLN mapping technique, increase the success of SLN mapping and reduce the necessity of systematic lymphadenectomy. Patients with early stage endometrial cancer were included in this study. All patients underwent SLN mapping with indocyanine green/near-infrared compatible surgical platforms. Indocyanine green was injected intracervical. “Bilateral mapping” and “failed bilateral SLN mapping (unilateral or bilateral failed mapping)” groups were compared for demographic, clinical, surgical, and pathological features. 101 cases were analyzed. The overall, unilateral, and bilateral SLN detection rates were 94.1%, 19.8%, and 74.3%, respectively. The failed (unilateral or no mapping) bilateral detection rate was 25.7%. Failed bilateral mapping rates were higher in patients with longer cervical and uterine longitudinal lengths, deep myometrial invasion and larger tumor size without statistical significance. Body mass index and operation type were not related with failed mapping. Increasing number of operations or injection of larger volume of indocyanine green (4 mL vs. 2 mL) did not improve mapping rate significantly. Cervical indocyanine green injection may overcome the negative effect of obesity on bilateral mapping. Although there was a negative correlation trend between the longitudinal cervical and uterine lengths and bilateral mapping, this possible relation needs to be confirmed in further studies. ST: Study design, writing, and approving the final version of the manuscript. ME Sari: Data analysis and writing of the manuscript. DA: Data collection and analysis. CCE: Data collection and writing of the manuscript. AG: Data collection. SY: Data collection. DK: Editing the manuscript. FO: Editing the manuscript.